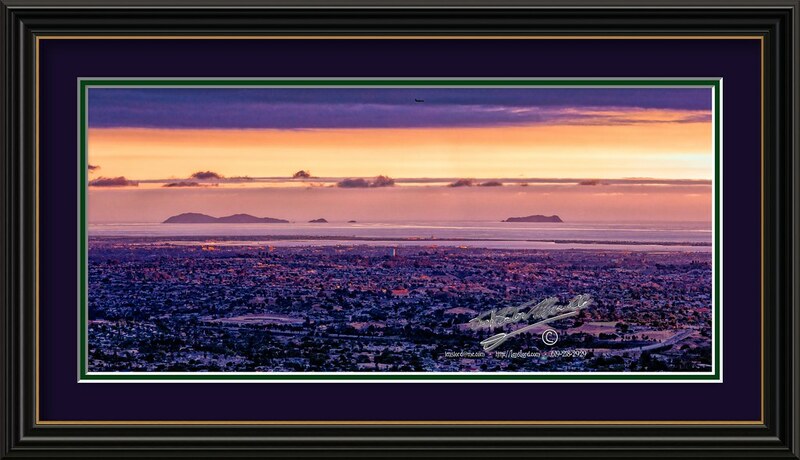 This is a view from Mount Helix in eastern San Diego, looking south towards the Coronado Islands. The day, even with the cloud cover above, and eastwards, was very clear. I was hoping for the sun to peek under the clouds an blow up the bottoms of the clouds, but the fog bank towards the west stopped the sun. This entry was posted in diego, ijakmaccom, san, Sunset, uber and tagged Foster, Jack, LensLord, Mancilla. Bookmark the permalink.